We are very excited for this long a waited console. It’s far by the most important element in our mastering studio. 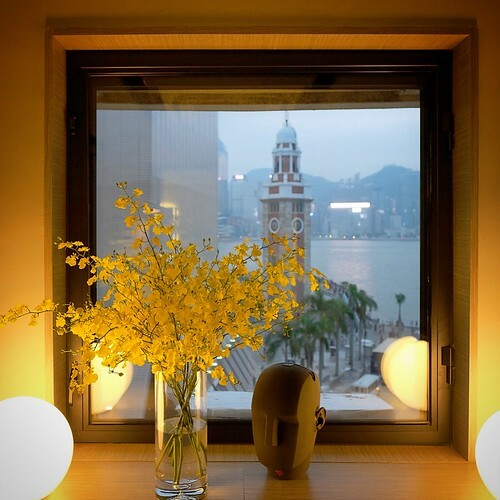 We are appointed as Crookwood representatives here in Asia. 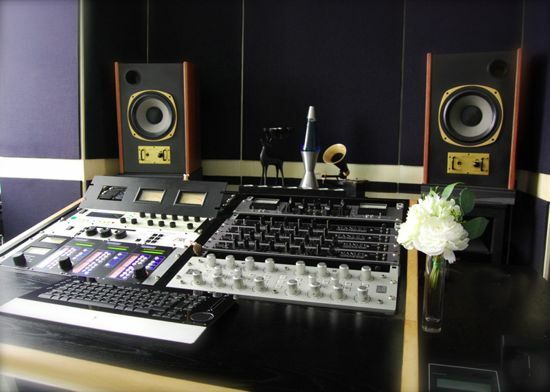 Please contact us for more information if you are interested to have a main mastering/mixing station. 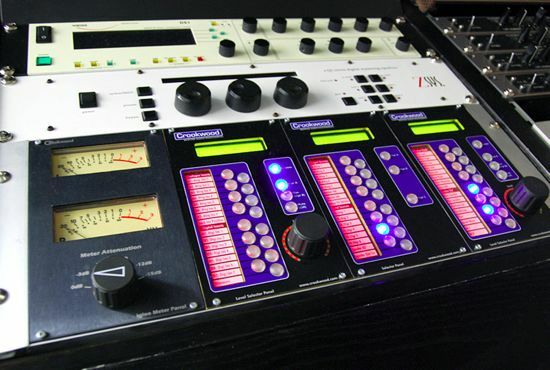 What is a Mastering Console? 1) Input – This allows engineer to pick which source to process and monitor. The source may either digital or analogue. 3) Output – This sends the processed signal to either analogue or digital output. For today digital media, the output will be usually digital, except for vinyl or open reel backup. 4) Monitor – This allow engineer to listen various points within the signal path. Engineer can click just one button to A/B compare the selected source and processed output. There are several useful features for mastering monitoring, which does more than just a line stage preamp. 5) Metering – Show the signal output level in VU meter. After understanding the basic need for a mastering console, it comes to the details of each section. Crookwood is a modular design mastering console. You can fit in the features that each engineer require with the most sonic transparent signal path. As seen on the photo above, the (1) Input (2) Process (3) Monitor and (4) Meter control panels are clearly layout. In mastering, we either get digital file or analogue tape, we may either use digital processors, or analogue processors, the final output may capture digitally by DAW (digital audio workstation) or loop back to analogue open reel tape master recorder. By this means, there are chances that we may need to converter between digital and analogue domains. Crookwood inserts the ADC (analogue to digital converter) and DAC (digital to analogue converter) automatically. For example if the source is from DAW, and I want to insert one analogue EQ for processing. 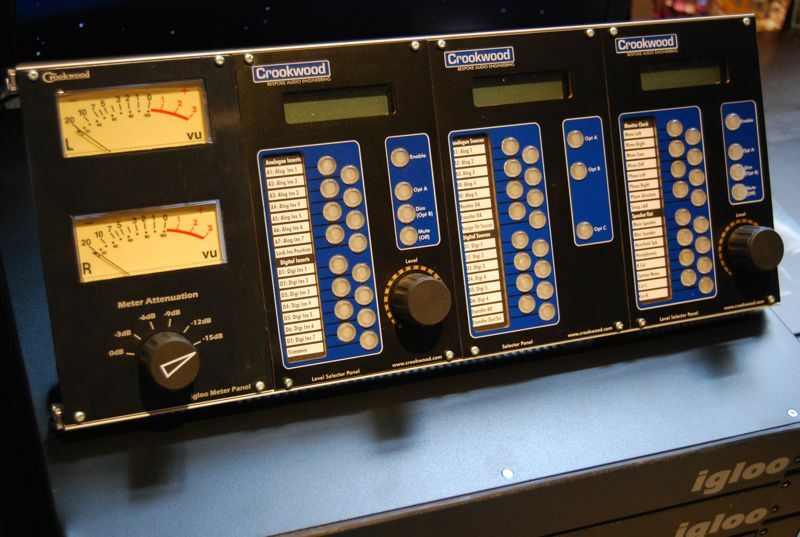 The Crookwood mastering console will automatically converts the digital data to analogue source for the analogue EQ processing, and then loop back to digital domain via ADC. If you starts from an analogue source (such as open reel), and add one analogue processor and one digital processor, Crookwood will automatically insert the transfer AD (ADC) after the analogue processor, before sending digital signal for the digital insert. There will always need ONE set of ADC & DAC for the transfer feature. So for the monitoring chain, there is needed another one DAC. This is where the basic need for a mastering chain, 2 DACs and 1 ADC. Crookwood mastering console has an option “Converter Pool”, it allows you to switch between 3 sets of ADCs and DACs. This is very important because there are chances that one converters is better than other to use in specific situations. When you have your transfer inserts, sometimes you may want to first EQ an signal before compress it, sometimes verse vice. 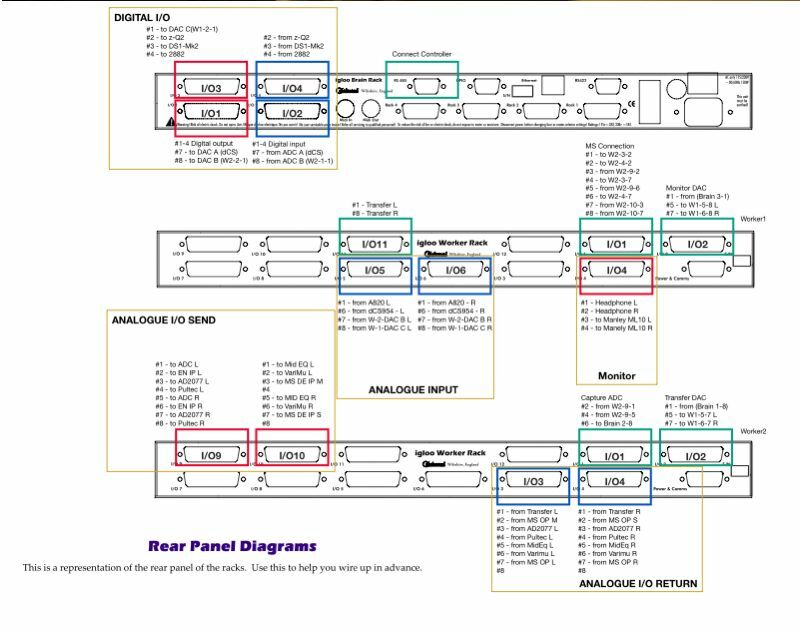 If you use normal patch bay, it takes long time to swap four cables to determine which order is better. Crookwood allows you to swap the transfer insert order instantly because each inserts is hooked to the console and label on the control panel. You can just switch your order from 1,2,3,4,5,6 to 6,4,3,5,2,1, or any order that you like. 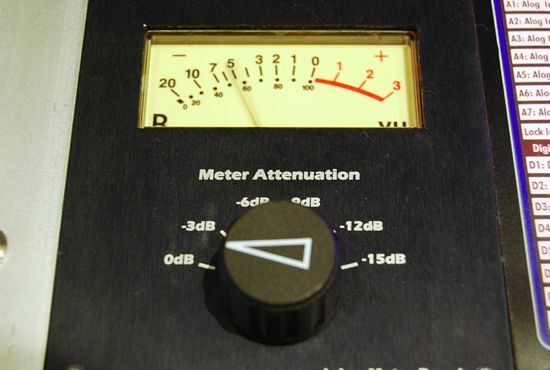 The optional VU meter has attenuation from 0dB to -15dB in 3dB step. This let the meter works in any type of materials. It can also be used to show the loudness of one recording. Since Crookwood is modular design from 2ru to 4 ru, each inputs/outputs are connected via dB25 to XLR format. You will expect to use quite a lot of cables (in mastering situation, there should need only few cables) since all processors are connected to the console, plus the dB25 to XLR style cable is there even you don’t hook them up with anything. For our first installation, we think it is cumbersome and will suggest to other to install a dB25 to XLR patch bay. If you have a smaller setup which has only 1-2 analogue processors and 1-2 digital processors, it will look much more clearly on your back of your console. Crookwood M1 is a full feature mastering console. It looks very complex and sophisticate on route signal in, process and out. The sonic quality is very transparent although it allows you trim the output level on A/B situation, the whole console includes only ONE AMP STAGE. One Crookwood M1 with full options is cost similar to a car here in Hong Kong, but if you are looking for the best mastering console, and thinking mastering/mixing is a future building path, this console is well worth its costs. Just to think of you have 7 analogue processor, you can freely add/delete them in the signal chain and revise their orders. Listen to every point between the chain, with wonderful sounding internal converters, and user prefers ADC/DAC combo, plus very good look control interface. Let us know if you want one today! I’m sure it will become the heart and brain of your production. P.S. : Crookwood has a C1 console which is a preamp with DAC. The sound of C1 is exactly the same as M1 console, but without all of the sophisticate insert/returns. I think audiophile will easily be surprised how good this C1 console sound compares with other audiophile DACs and preamp.